One natural wonder, 18 different uses! Dr. Bronner's Pure Castile Soaps are made with 100% natural, organic oils with no detergents like drugstore soaps that will strip and dry out your skin or cause severe reactions. Health is your greatest wealth so choose wisely when it comes to washing your body, face and hair. You can use this natural wonder to wash your entire body, face and hair. It not only washes away dirt, it desolves it. So your skin will feel clean, refreshed and very moisturized.A little goes a long way. This soap is very potent so a little goes a long way. You only need a dime to a quarter size amount diluted with water when cleaning your body, face and hair. 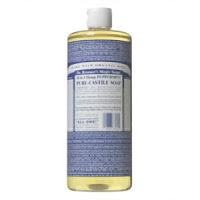 If you want to wash your body and hair with Dr. Bronner's Castile Soap, you want to buy the Dr. Bronner's Pure Castile Hemp Soap, as it's more moisturizing for hair. Depending on whether or not your hair is dry, you may want to use a natural conditioner afterwards if you have dry, damaged or frizzy hair. Try IKove Acai Chocolate Conditioner for dry, damaged and / or colored treated hair. It will leave your hair feeling super silky, shiny and frizz free! 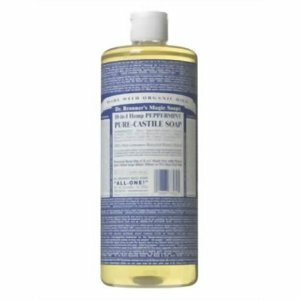 Dr. Bronner's Pure Castile Soap are the top selling natural soaps in the US. Their 100% Natural, Organic certified ingredients, bio-degradable, packaged in recycled bottles and are not animal tested and cruelty free. They are gentle on the body and tuff on stains and dirt. This multi-tasking soap will not only clean your body and hair but will clean bathrooms, floors, counters, walls, laundry, dishes, pets, fruits and vegetables and you can shave with it! Dr. Bronner's Magic Castile Soaps last forever and retail between $5 - $15 on Amazon.com or at Target. Your body, face and hair will thank you! It is great to see natural blogs. I am following you on twitter and google friend connect. Great tips.i really appreciate for these nice tips! !